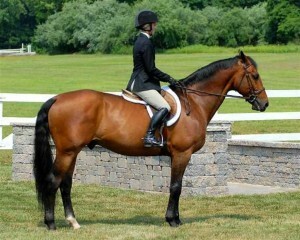 There are two basic leg positions used in flatwork. The first, referred to as “at the girth,” is the placement of the rider’s calf against the horse’s flesh just behind the back edge of the girth. This position is used both to bend the horse and drive it forward. 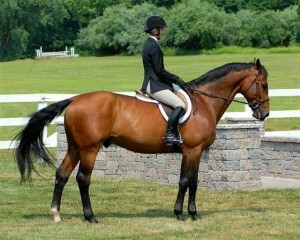 The second leg position is referred to as “behind the girth,” which is about four inches farther back than the first. This position affects the lateral, or sideways, movement of the horse’s haunches and is also used to drive the horse forward.